Want to make your SugarCRM more convenient, flexible and cost-effective? You’ve come to the right place! Logic Builder is a visual scripting tool for Sugar 7 Professional & Enterprise, which allows business users to customize CRM system’s logic quickly and without any programming knowledge. Find out more exciting possibilities of this advantageous SugarCRM extension in our introduction video. 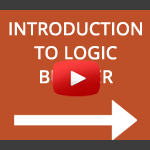 How to Get Started with Logic Builder?